Jump Menu: Where do wasps hibernate? Can I take a wasp nest down in the winter and hang it indoors? Why am I finding hornets in my house? 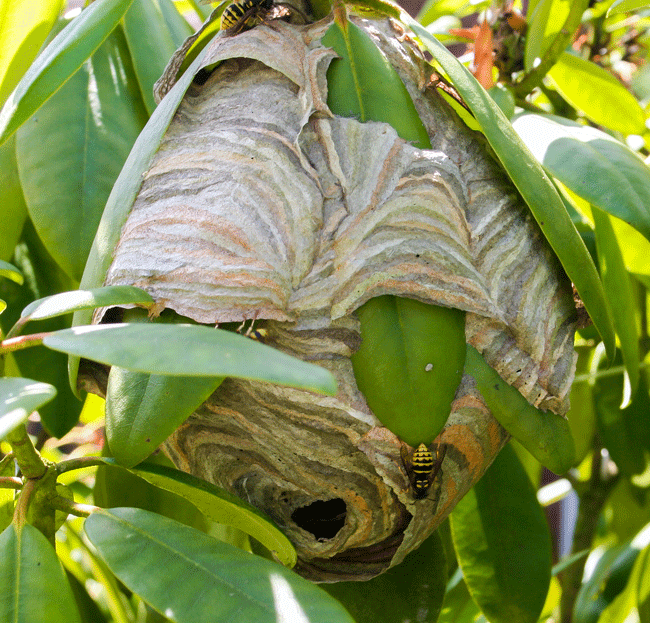 Why would a wasp nest be pink? Do you deal with wasp nests in London, or know someone that does? Wasps will hibernate in virtually any location protected from the elements, including lofts, sheds/outbuildings, old log piles and underground burrows all of which are favourite places for hibernating wasps. 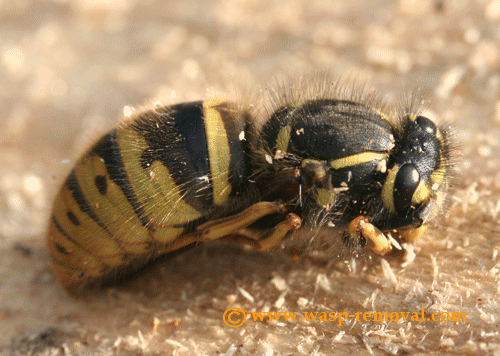 Only newly hatched queen wasps hibernate, the original queen who started the nest dies in the autumn. A queen will survive for one year. Can I take a wasp nest down in the winter and hang it indoors? Why am I finding hornets in my house? If you are finding hornets indoors in the spring, do not be concerned. It is probably a queen who has got inside by mistake. If it is summer and you getting hornets indoors, we suggest that you have a nest close by and they are coming in through open windows at night time. Hornets are nocturnal and will be attracted to lights inside, just like moths. Why would a wasp nest be pink? Wasps make their nests from wood; usually, they strip wood from fence panels and sheds. We see all sorts of colours in wasps nests; this is due to people treating fence panels with different colour treatments. Do you deal with wasp nests in London, or know someone that does? No, our area is displayed on our pages. But our sister site covers the whole of the UK.